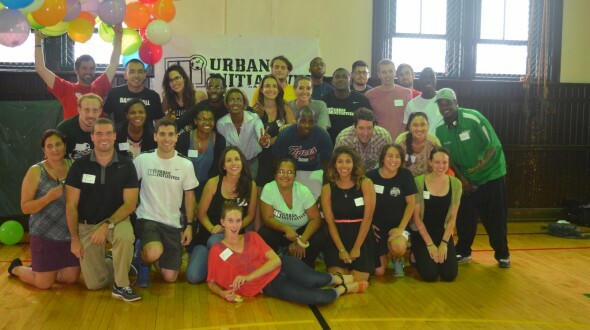 Urban Initiatives – Happy 20th Anniversary AmeriCorps! Since the 2010-2011 school year, Urban Initiatives’ Work to Play program has teamed up with AmeriCorps to help make a long lasting impact on thousands of kids in various Chicago schools and communities. As we celebrate the 20th Anniversary of AmeriCorps we would like to thank every Urban Initiatives Coach that has dedicated a year, or, in some cases, two years of service as AmeriCorps members. AmeriCorps members are the “boots on the ground”; they work with kids and families every day as they help them lead healthy and active lifestyles. Former Urban Initiatives AmeriCorps Members include: Katie Couyoumjian, Cynthia Flores, Simba Gandari, Toby Washington, Kevin Gray, Anthony Hill, Adam Johnson, Tom LaClair, Cristobal Martinez, Becca Martinson, Brendan McAlpine, Travis Moore-Murray and Noah Pickens. This year, there are 10 total AmeriCorps members that are serving as Urban Initiatives Work to Play Program Associates and Play with Potential REC Coordinators! They are: Patty Alfaro, Shanee Butler, Helena Correa, Bryant Craft, Michelle Ramos, Brandon Reed, Kevin Shoenfeld, Jazmine Vazquez and Mercedes Young. We couldn’t be more grateful to AmeriCorps for helping us extend our reach throughout Chicago, and we wish you a very happy 20th Anniversary!